Happy Breast Cancer Awareness Wednesday! I can't believe this is my fourth and final mani for breast cancer awareness. The month went by so fast! I know there is still one week left in October, but the plan was to just do four of these manicures so here we are. I have really enjoyed doing these designs each week as they are a reminder of the women in my life and all over the world who have battled breast cancer. Please remember how important it is to get checked every single year. Today I decided to use my namesake polish, Zoya Brooke, as my base color. 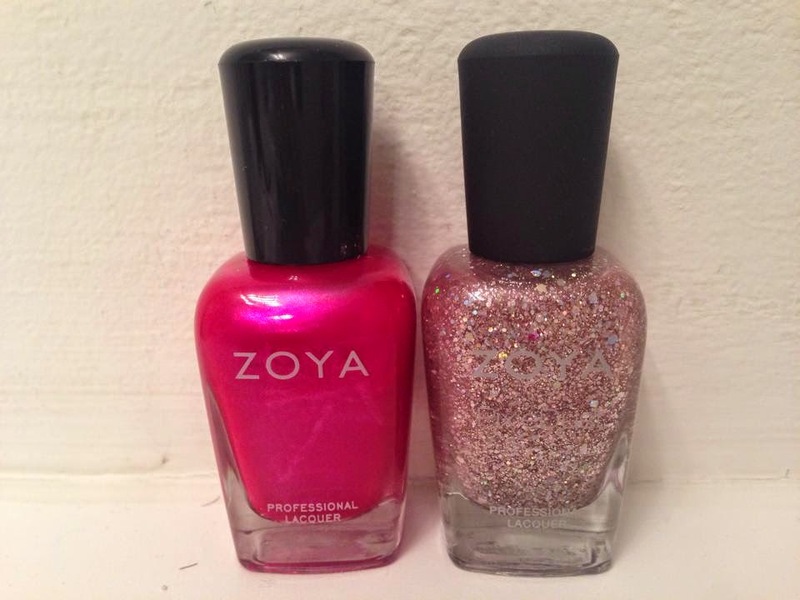 (Are there any other Brooke polishes out there? I would love to get my hands on them!) Brooke is described on Zoya's website as "a combination of deep pink, red and violet with fuchsia duo chrome shimmer and a subtle silvery frost." This is such a girly and bold pink. 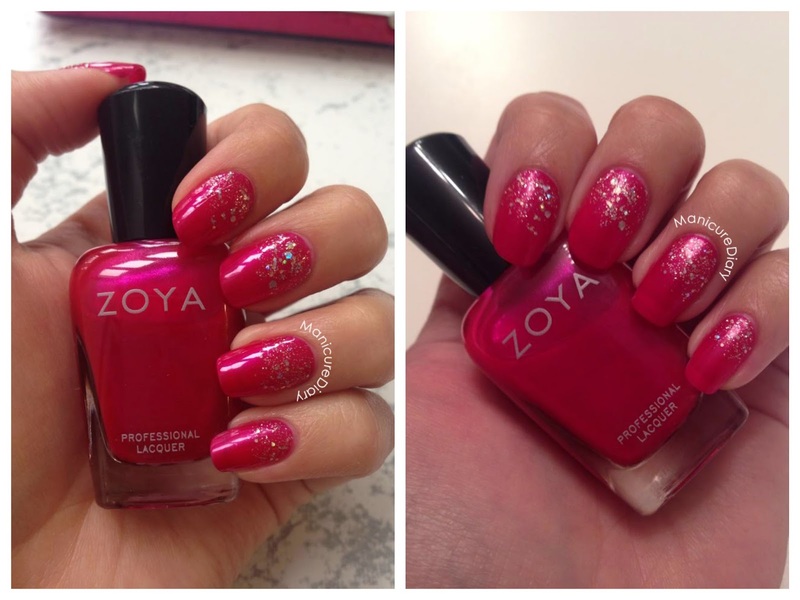 The application is wonderful, as I've found with every other Zoya polish I have used. I topped it with Zoya Lux, which is one of their Pixie Dust polishes. This one is described as a "rose quartz sparkle." This glitter transformed my mani and seriously made me feel like I had princess nails! For some reason my nails look more glossy in my kitchen (left) than in the bathroom (right).